WorldMovieStore - Their story is in danger of being lost to history. The men who came home from the Vietnam War represent a second silent generation. Through a collection of color Vietnam footage never seen by the public from private collections, museums, the US government, veteran's and news organizations as well as sources from Vietnam, they tell their stories and relive their struggles, courage and fears. Sound design, using popular music from that era, powerfully evokes the time period and experience. Read More Sinopsis. 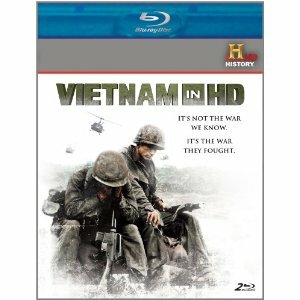 0 Response to "Blu-ray Release Vietnam in HD"